The best projectors are equipped with high brightness around 3500 lumen and high resolutions. Higher the brightness(Lumen) better the projector and higher the resolution better the projector. LCD projectors are entry level not very costly projectors with good brightness, impressive contrast ratio, and black levels. LED projectors are efficient but expensive than LCD projectors. These projectors have longer lamp life, more brightness and vibrant images than LCD projectors. Liquid crystal on silicon(LCoS, also referred as reflective LCD) projectors are not very popular as compared to LCD or DLP projectors but these projectors can be pricey. LCoS projectors are can be very bright, resolutions tend to start at SXGA(800×600), Smooth image, great color saturation, and accuracy. Digital Light Processing(DLP) projectors are the best quality most expensive projectors on the market. These projectors are equipped with high brightness around 3000 lumens or more and high resolution. Cinema projectors are DLP projectors, these projectors are expensive but the maintenance cost is lesser than LCD and LED projectors. Resolution and brightness are the two main factors in projectors. SVGA: Cheapest projectors in the market with 800×600 resolution and these projectors are good for basic use like power points and basic projections. XGA: XGA projectors have 1024×768 resolution. These projectors are good for basic projections in schools and colleges. WXGA: WXGA projectors have 1280×800 resolution. These projectors are better than XGA and SVGA. WXGA projectors support high-resolution widescreen laptops and are more expensive than XGA and SVGA. SXGA+: SXGA+ projectors support the 1400×1050 resolution which is good for detailed projection like image projections. They are more expensive than WXGA projectors. UXGA: UXGA projectors support 1600×1200 resolution. These projectors are most expensive and used for very detailed graphics projections like medical imaging. Lumen is the measurement unit for brightness. Higher the Lumen count better the brightness and higher the brightness(Lumen) better the projector. Based on brightness we have divided the projectors into different brightness range. < 2000 lumen: Projectors with less than 2000 lumen can be used in very low light conditions. These kind of projectors are small and easy to set-up and use. 2000-3000 lumen: Projectors with 2000-3000 lumen are basic use projectors but can be used in some light conditions also, good for office use power-point projections and meetings. 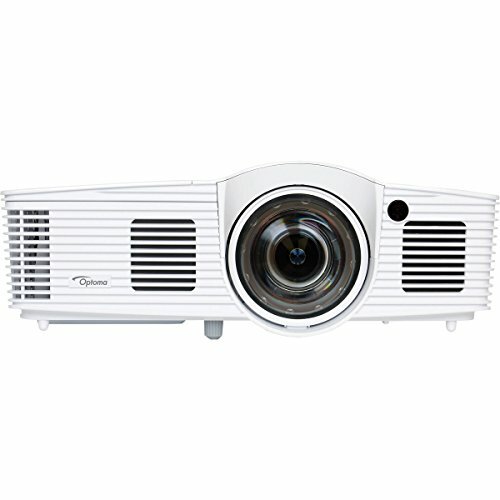 3000-4500 lumen: Projectors with 3000-4500 lumen are very good for halls and conference rooms. Nowadays portable projectors with around 3500 lumens are available at the very good price. > 4500 lumens: Projectors with more than 4500 lumens are high-performance projectors for music concerts and big conferences. The best projectors literally mean the best in every sense, including efficiency and economy. And apparently, as price tags do not decide the worth of something, this list of best projectors has products from a huge price spectrum; from average to extremely good. Optoma HD142X could be a pretty good choice if you prefer DLP projection over other methods. On the plus side, it has 3000ANSI Brightness which makes it suitable for low-light entertainment or presentations. Connect it with your favorite HD devices such as a laptop, SmartTV, and Smartphone through MHL offered by one of the HDMI ports. For gaming purpose, you need a projector with short throw, and fortunately, we do have Optoma GT1080 Darbee with 3000 lumens and 28000:1 Contrast ratio for bright gaming. And its Short Throw of 0.49:1 makes it easy to install it in a small area. For adding more detail to gaming, the DarbeeVision Processor enhances texture and depth to its native 1080p picture. 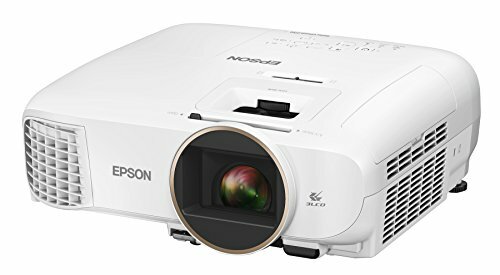 Another one with a slightly better 3200 Lumen count, the Epson PowerLite 1781W 3LCD projector offers much better color retention and sharpness which makes it an affordable option for home entertainment. 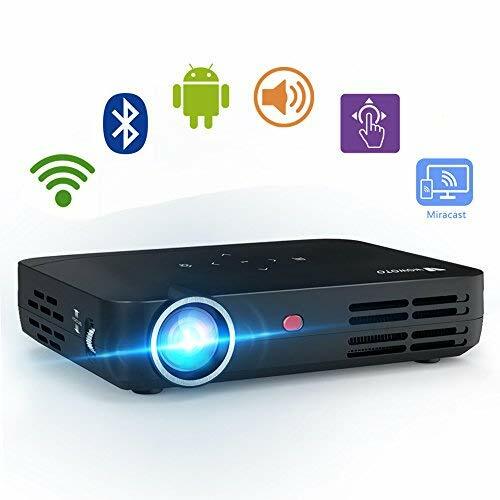 Affordability is another aspect of the best products, and that brings us to appreciating the DBPOWER T20 Mini Projector, which has amazing wireless connectivity and MHL support for smartphone and other wireless devices. The projector also supports up to 1080p resolution and has a screen size ranging from 32” to 176”. Talking about brightness, its 1500 lumens of Brightness makes it quite suitable for dark and low lit environments. 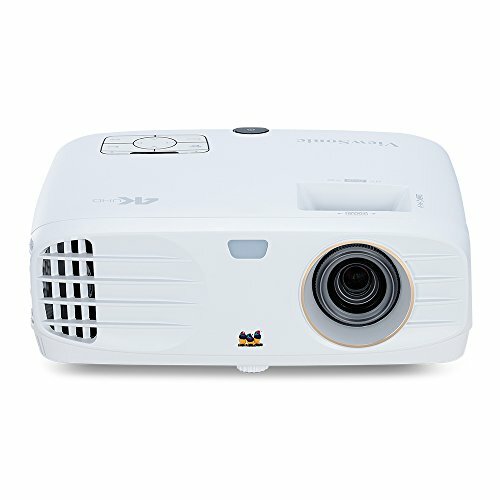 However, if you need a projector that you can use anywhere, anytime, without worrying about the light conditions, JVC Professional Series DLP projector with 5000 lumens should seal the deal for you. Apart from its high-definition 1280 x 800 widescreen resolution, its 3D DLP technology makes sure watching movies is no less than a theatrical experience for you. For picture adjustment, it supports Lens shift, Keystone correction and Corner correction, which means no alignment issues whatsoever. For connectivity, it has LAN, USB Type A and B, S video, 2 x HDMI ports, VGA and RS 232.